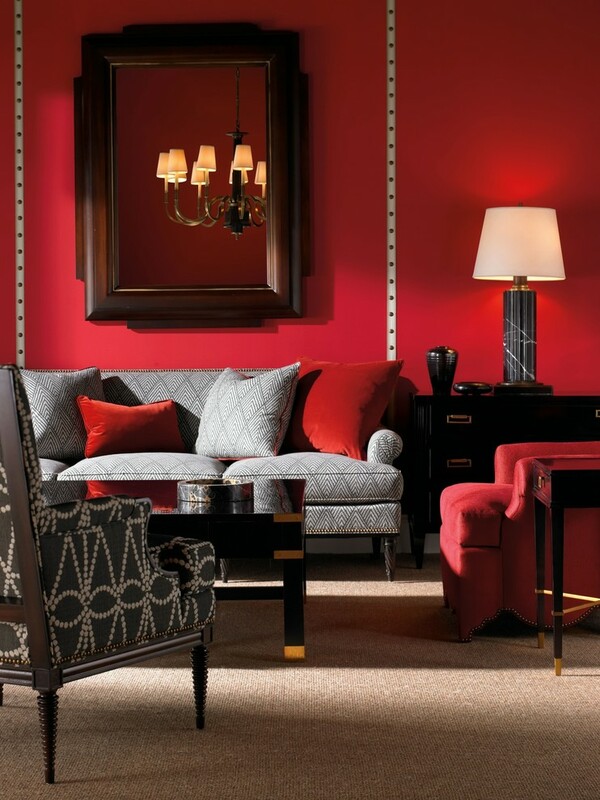 If there is one color that makes an immediate and undeniable impact in any interior that it adorns, then it is the indomitable red! 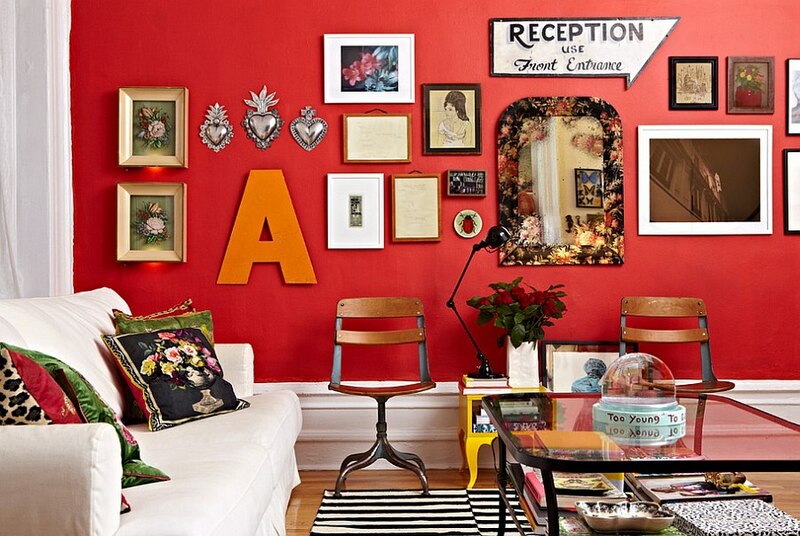 Fiery, passionate and the universal color of love, red has often been relegated to the bedroom. While some modern homeowners love to infuse their kitchen with a splash of this brilliant hue, red living rooms are indeed a rarity. 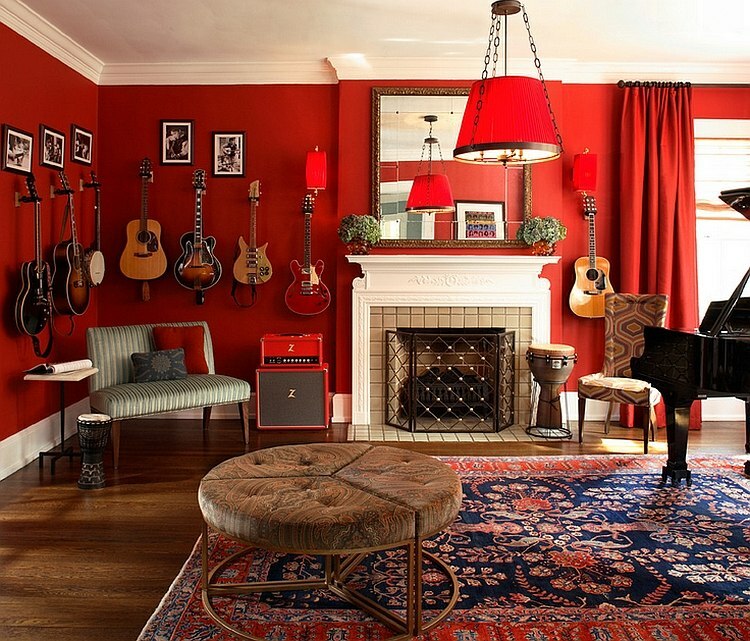 Yet no matter what theme you have going in your living space, red can fit into it in an effortless manner. 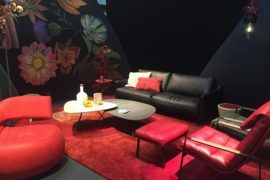 Impactful, elegant and visually powerful, red can give your living room a touch of exclusivity. 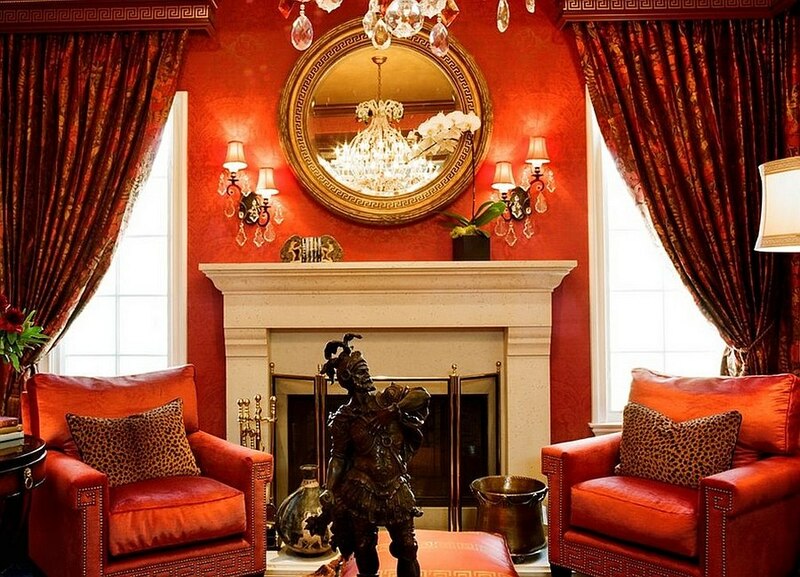 There is no denying the fact that it is very easy to go overboard with red and create an intimidating and even uncomfortably bright living room. 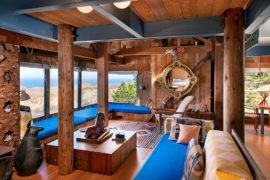 This is precisely why we have some beautiful inspirations that showcase how this bold color can be used in a balanced and pleasing fashion. 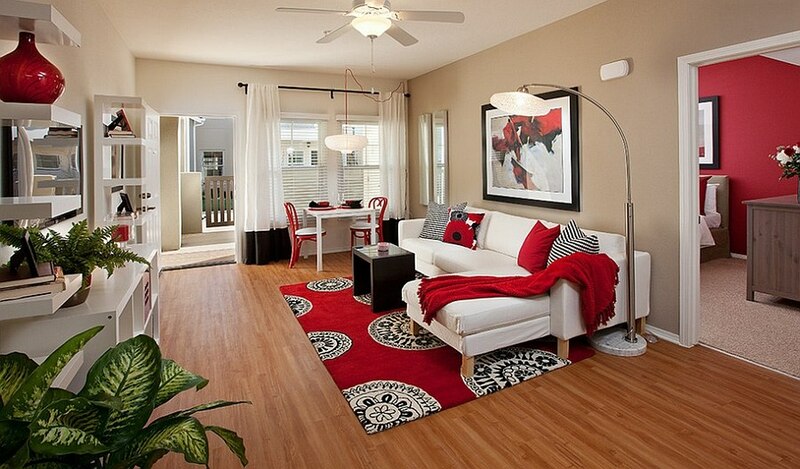 From simple pops of red to entire rooms wrapped in reddish brilliance, you have a variety of styles to pick from. 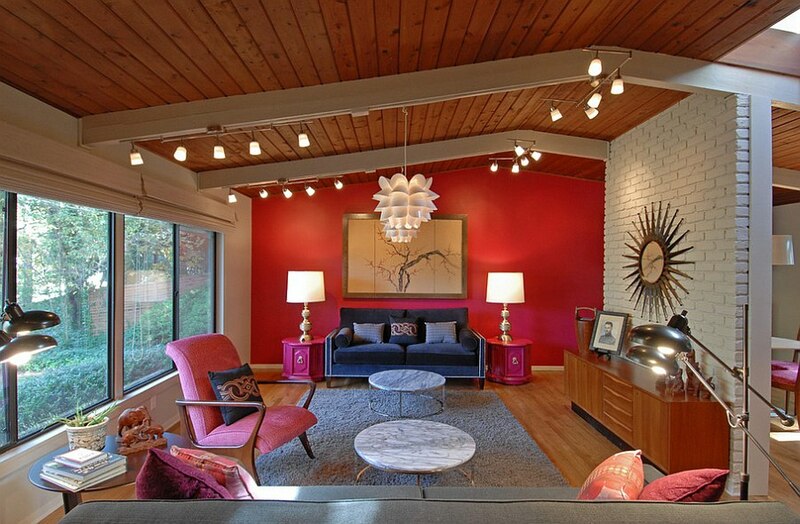 Contemporary living rooms in red look a lot more appealing than you would imagine, and all you need here is the right balance between shades and perfect lighting. 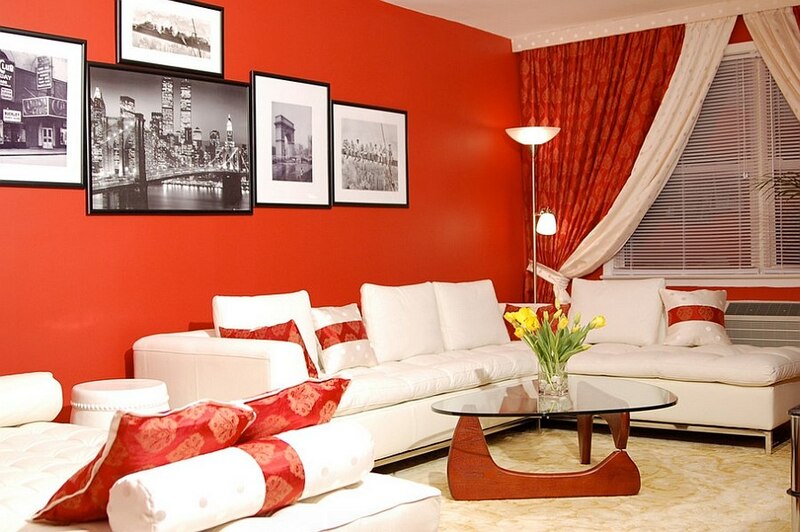 White and red make a beautiful combination, and the presence of ample white softens the impact of bright red. 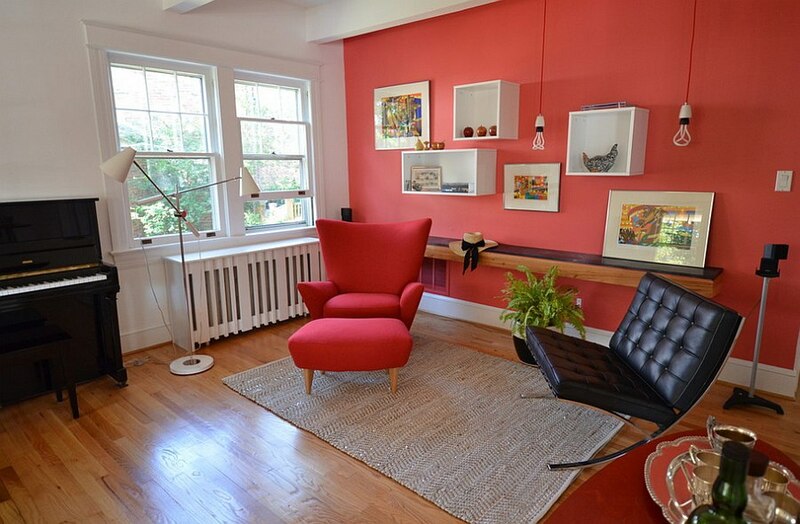 It also gives the space a modern appeal and keeps the focus firmly on the bright red additions. Another popular choice is black, white and red. 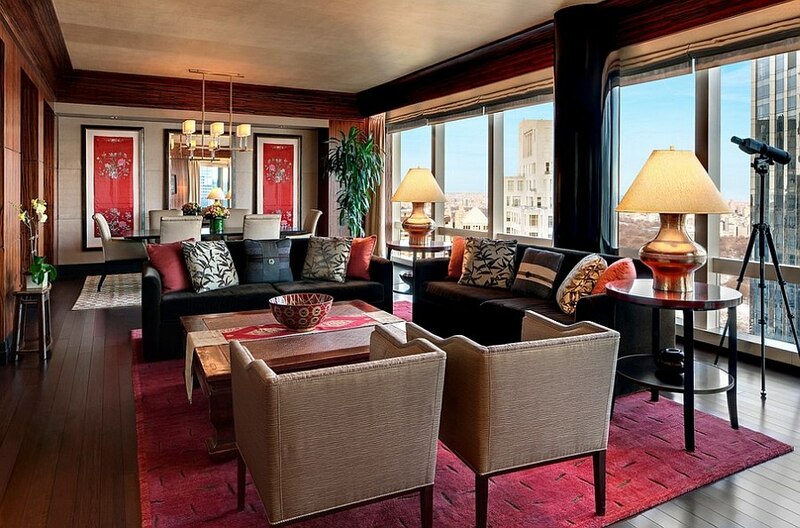 Living rooms with this color scheme achieve that right balance between colorful radiance and sleek sophistication. 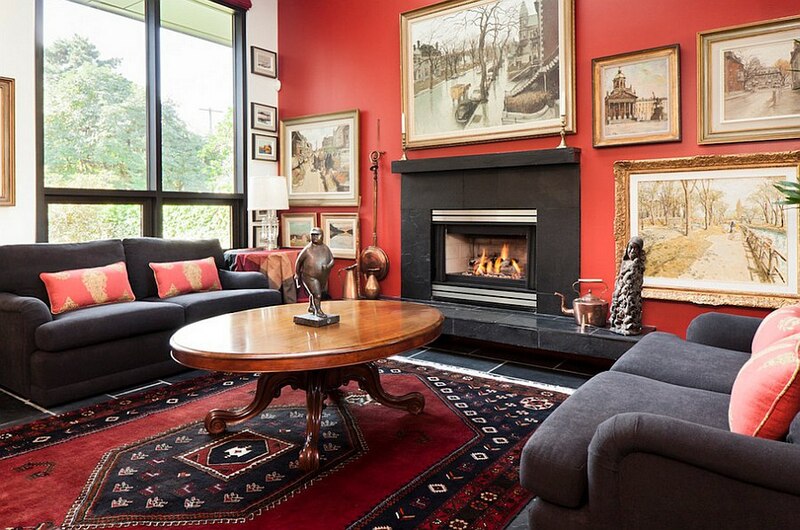 Black is a great addition for defining specific features and anchoring the red living room visually. 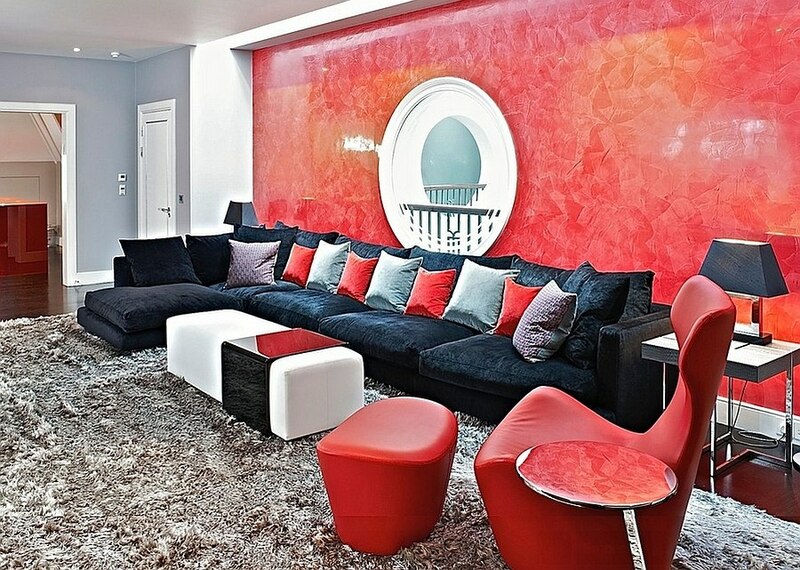 A modern living room with red accent walls also looks captivating, while a room that is completely draped in red seems a lot more glamorous with a darker, more restrained look. 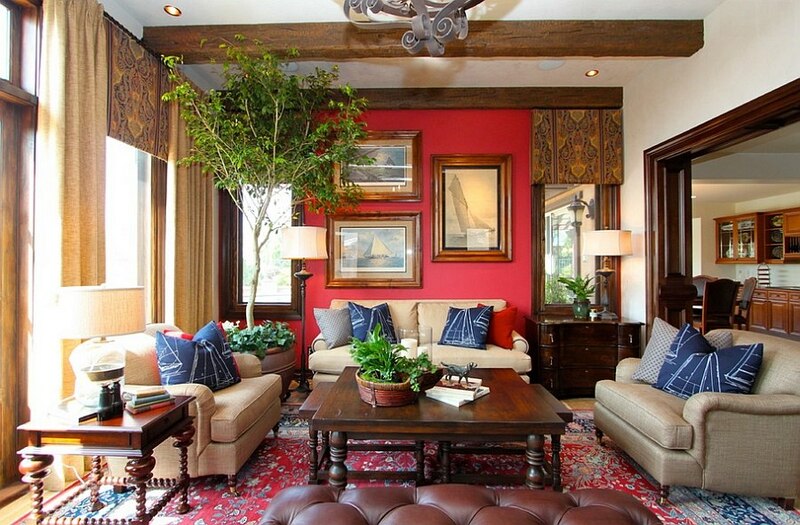 As a rule, remember to make a dark room darker and an airy space brighter when using red in the living room. This does not mean you turn to poor lighting in a small, closed red living room. 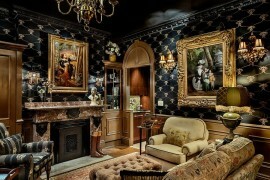 Instead use lighting to darken a few spots and create a sense of intrigue. 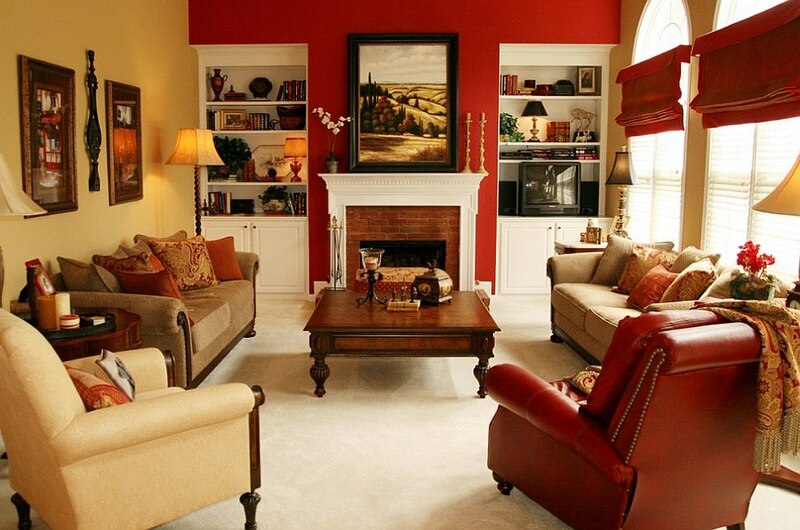 If you are fond of the classic design themes and a traditional-style living room, then red is a great choice indeed. 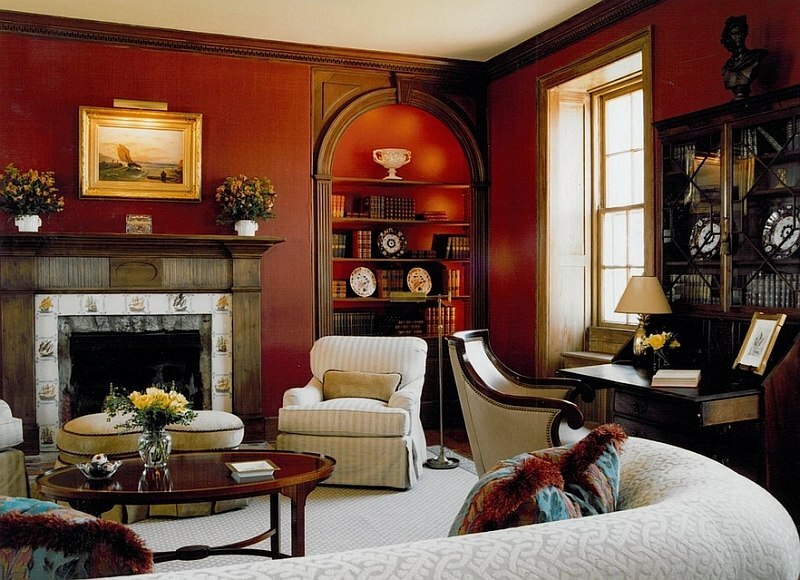 In fact, red looks a lot more at home in these timeless settings than in ultra-sleek modern homes. 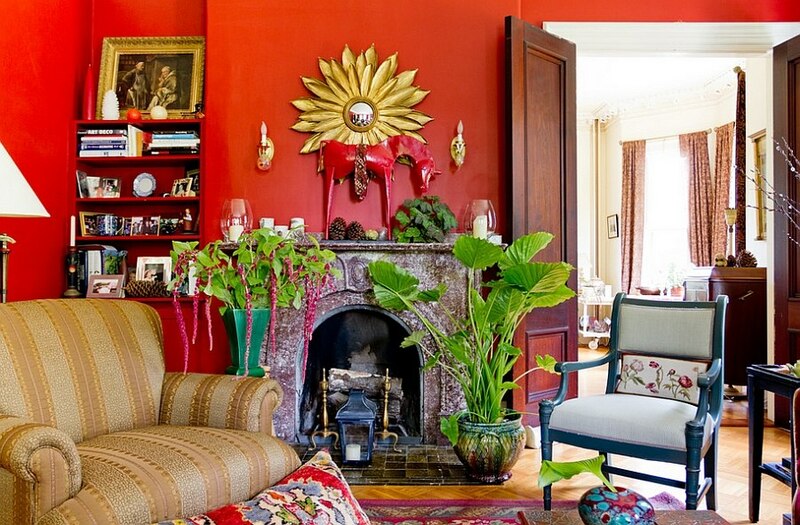 Add a touch of gold to red and you have a living room that has a majestic aura about it. 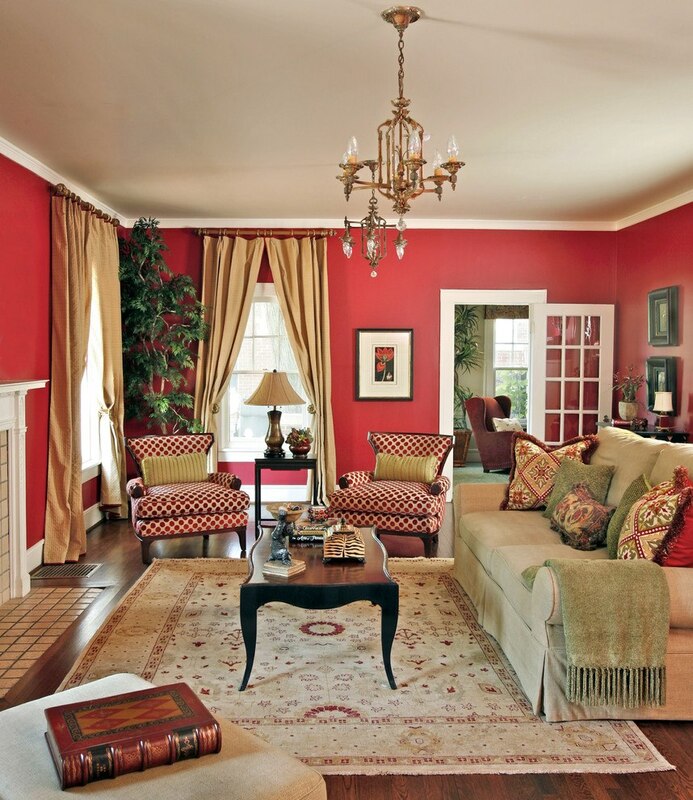 Eclectic living rooms in red provide you with the perfect backdrop for your diverse art collection, while velvet red drapes lend a sense of opulence to the classic red living room. 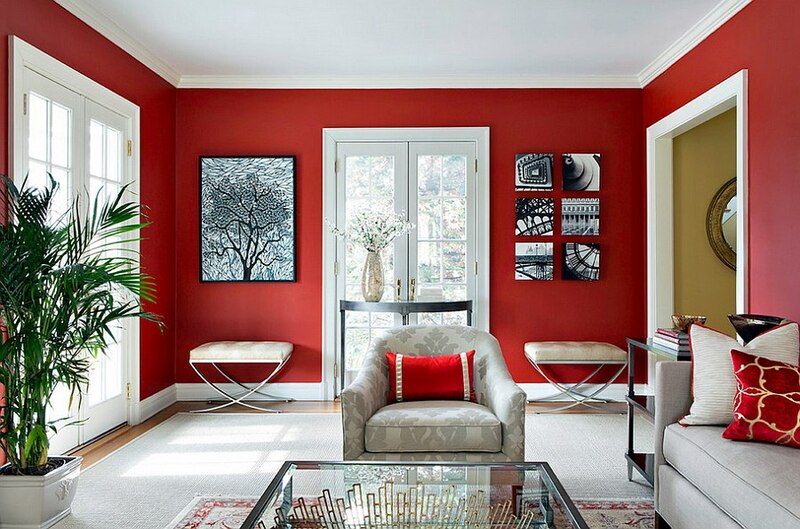 One of the timeless colors associated with royalty, red has a commanding presence that elevates the appeal of even a mundane space. 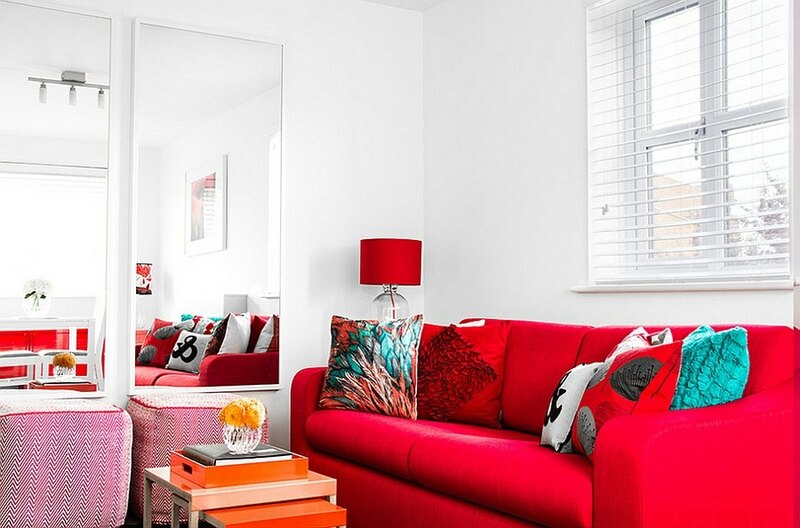 Still not convinced about filling that living room with vivacious red? 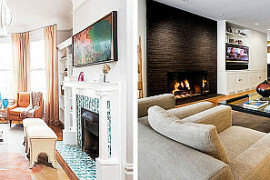 As always, those with color commitment issues can start off with small accents. 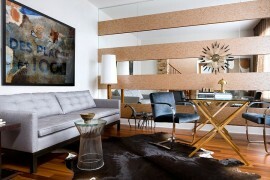 This is barely a problem in the living room, where you have plenty of opportunity to use accent additions. 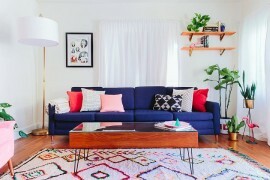 Begin with the simple throw pillows in red, and if you are pleased with it, you can then turn to other major additions like red accent chairs or even a couch. 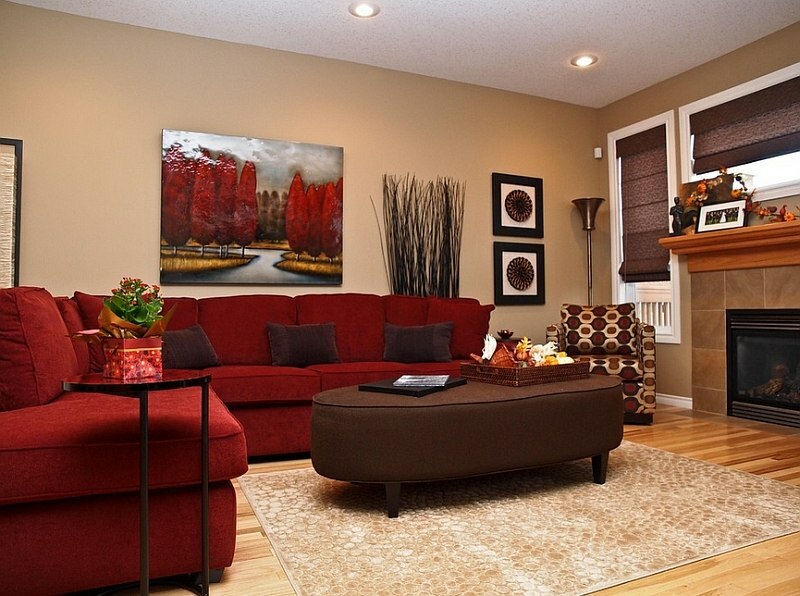 Paint is not the only way to give your living room the ‘touch of red’! 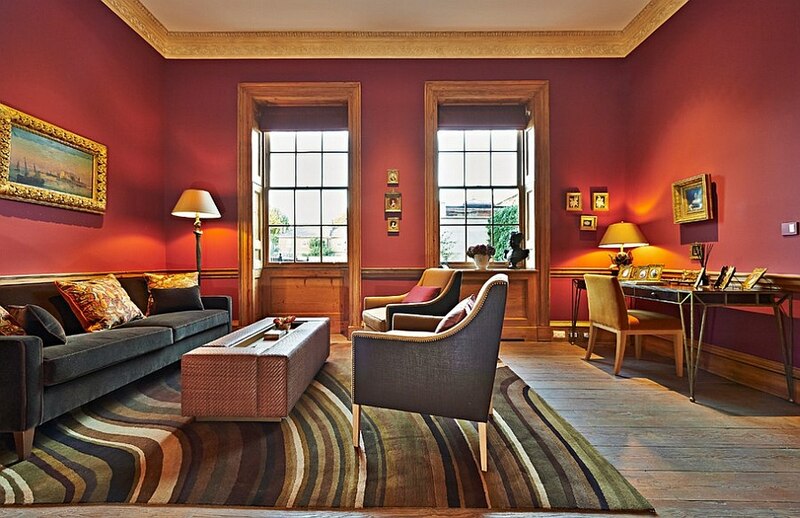 Carpets and rugs also leave a big visual impact and can fill the room with red hues with ease. 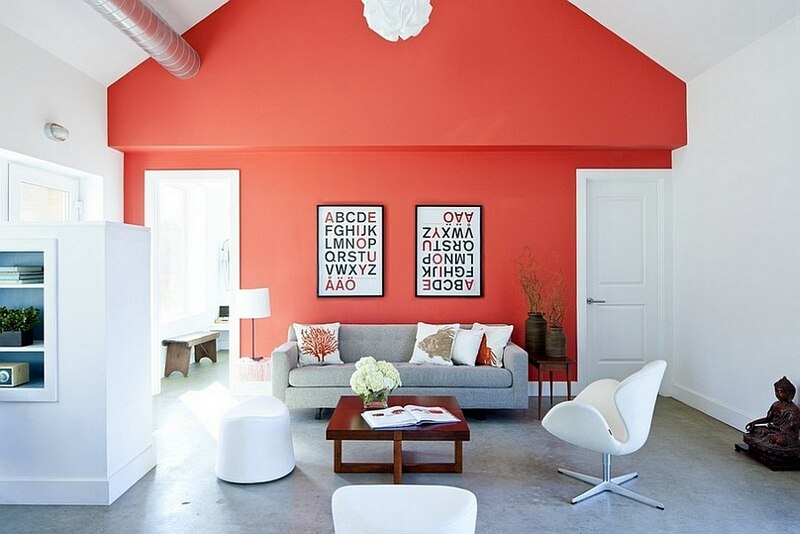 Do not fear red in the living room just because some designer tells you to use only neutrals in the space. If you love red, we say you give it a good go. And with holiday season right around the corner, it even plays into the classic red, green and white color scheme. Top it off with a splattering of gold and you are all set for jolly good times!